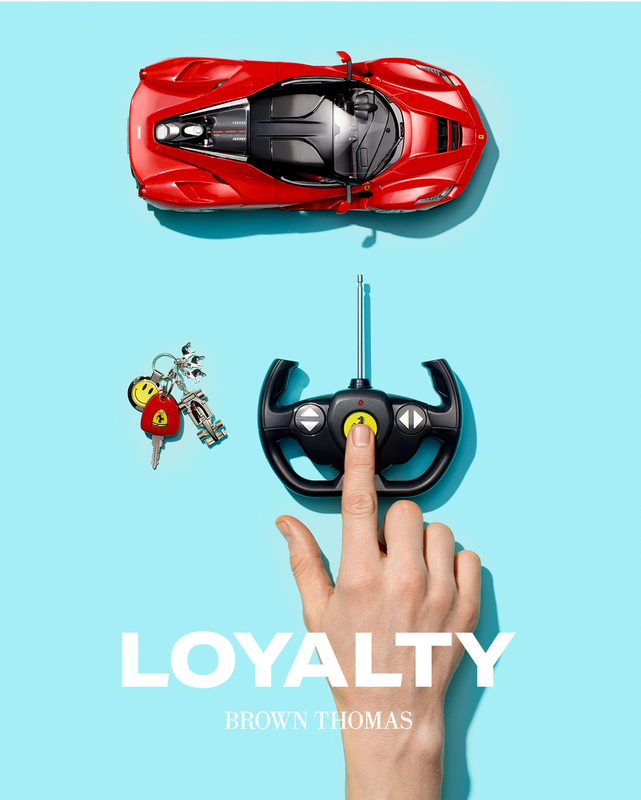 Brown Thomas saw that loyalty points were being used more and more for beauty purchases by a younger demographic, and wanted to engage with younger beauty buyers through their loyalty program. 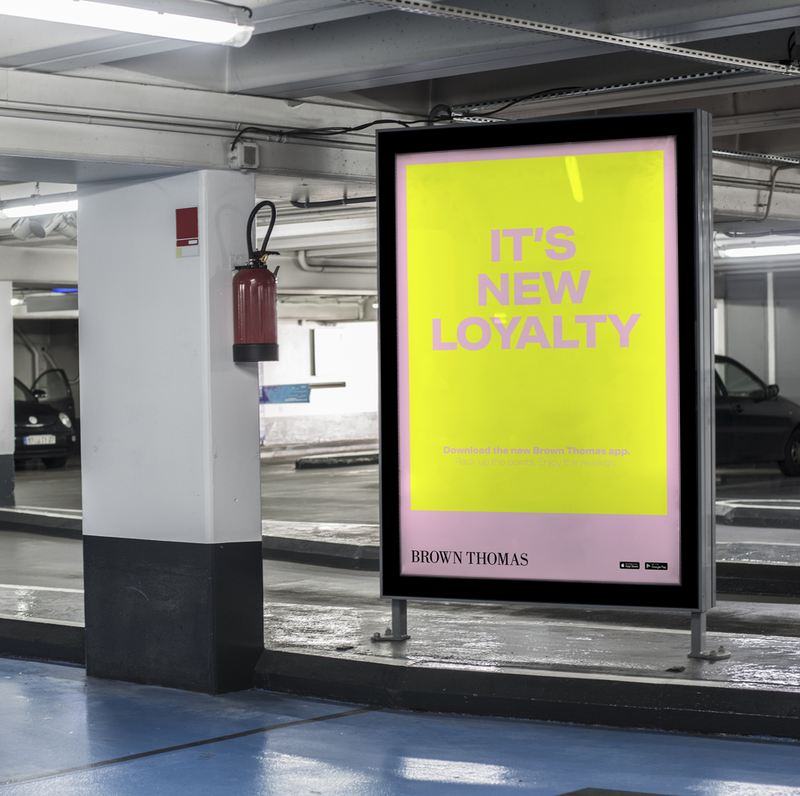 Knowing that millennials would avoid the “another card for my wallet” approach to brand loyalty, we developed a suite of digital-first communications that told our audience that Brown Thomas now had a new way to shop fashion and beauty (and be rewarded for it where it mattered – with points in your phone). 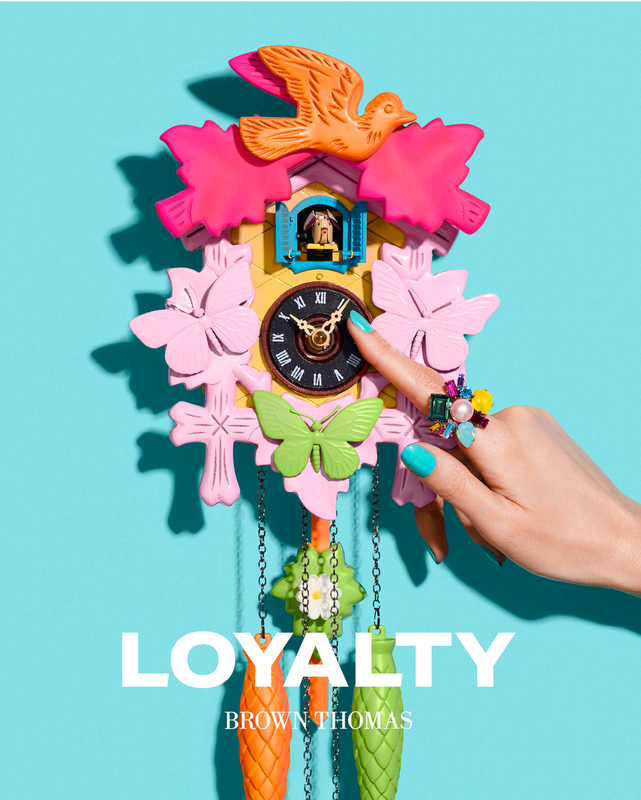 We created a bold and youthful “Loyalty” sub-brand, supported by the Brown Thomas brand. Loyalty is a beautiful thing; we built the Loyalty sub-brand’s bold look and tone of voice around that simple thought. All launch communications have a confident, playful simplicity in the art direction and photography, a vibrant colour palette and direct typography. 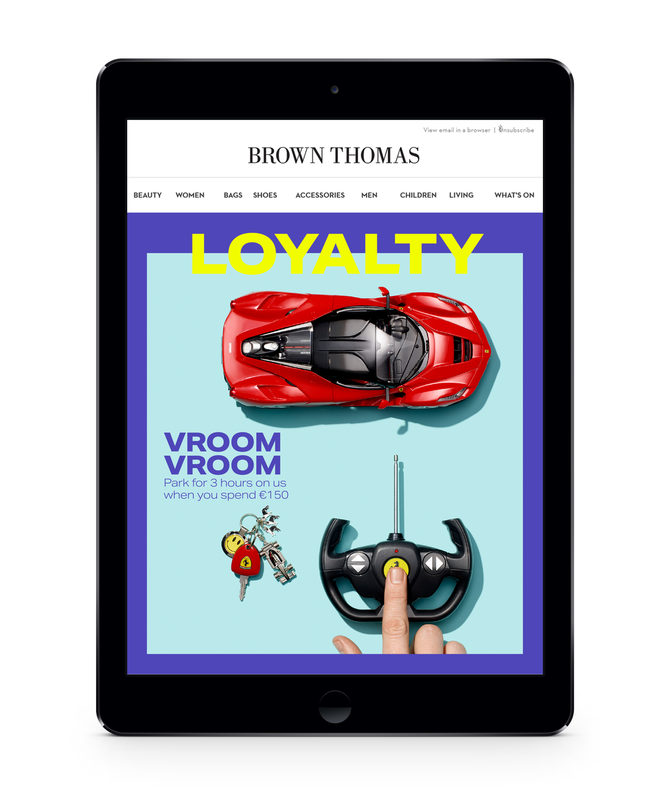 The rebrand campaign engaged our audience across social and traditional channels, resulting in a surge of app downloads and in-app purchasing – helping Brown Thomas move beyond bricks and mortar stores into the mobile-first retail space.